Robin Ball has an Exhibition here. 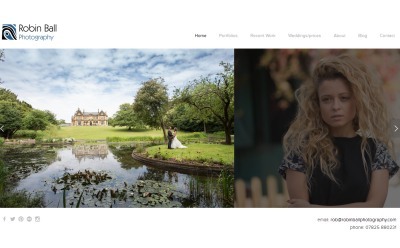 Robin is a professional, editorial, portrait and wedding photographer based in London and I love what I do! Alongside his own projects, he shoots for Getty Images, Wireimage and Retna Pictures and his editorial work is regularly published in major national and international magazines, newspapers and online publications. Over the last decade, he has received various awards for my photography, but was particularly chuffed to be named as NME Music Photographer of the Year 2013, 2014 and 2015 (runner up). Most recently, he was honoured to be named as a finalist for the international prize - Travel Photographer of the Year 2016. His work is varied, from London Fashion Week, to the Isle of Wight Festival, to the wedding of the year, YOUR WEDDING!